The best video recorder for PC with powerful tools. A screen recorder comes in handy when you want to exhibit your mastery over a particular game by using online video recorder or in the conversion of desktop screen process into a video to demonstrate what’s going on in your desktop screen. Large numbers of people cry out for an online video recorder for the capturing process and finding one is not a cakewalk. For that reason, we have advanced here with a list of some exceptional online video capturing platforms for PC to make your search undemanding. To make your online PC video capturing process executed, you can use Apowersoft which is the first in the list of the refined online video recorders. Apowersoft is a free online screen recorder that requires downloading of a launcher application when it’s being used for the first time. After this, any further online recording process can be done without any limitation. This online video recorder on PC promises to capture your desired recording with just a single button. When you reach to its website, you will observe a 'Download desktop version' button which is Apowersoft’s Pro version (premium application’s trial version) and is more restricted than online version. This recorder provides the users with the option to select whether they want to record the whole screen or a selective area. One can pick out from various output formats for the recorded file like AVI, MP4, ASF, WMV etc. 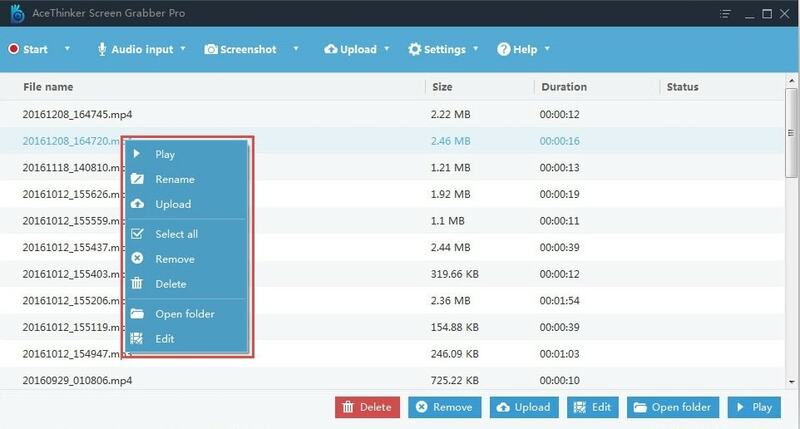 Apowersoft also gives you the option of uploading the recorded file to ShowMore. The users are also allowed to add annotations such as adding notes, shapes, colors and more. With Apowersoft, the users can also record video and audio at the same time. Another online video recorder for PC with which you can record your screen anytime is AceThinker. This is a tool that has been used by many users and is one of the most recommended ones. It’s a helpful and easy to use screen recorder equipped with lots of good features. AceThinker offers an easy and intuitive interface and your work can be finished within just 3 simple steps. AceThinker also makes sure to let the users creating real time video editing. One can record video and audio simultaneously with this recorder similar to the previous recorder. Plenty of different suitable formats are available to export the output file. Here is the third online video capture program for PC to let you record your desired demonstration or screen without any restriction. Fotofriend Video Booth is one straightforward video or screen recorder that gives a very simple interface. With this, you get more function other than video recording. For instance, you can take a picture or edit it and give a desired finishing. Fotofriend Video Booth can help in recording the videos online with its webcam video booth. It gives the users a facility to record the video with more than 55 webcam effects. After recording, the users can download it and proceed to upload the file to YouTube with Fotofriend Video Booth. With Fotofriend, you can customize your picture with art like stickers and many more. Also, this offers taking pictures with 55+ webcam effects and adding those to online artwork by inviting friends. 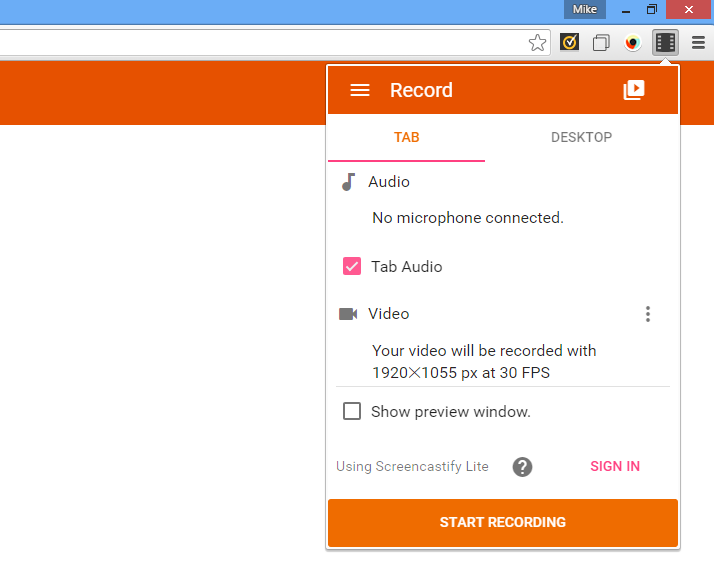 Screencastify is a yet another online video recorder for PC. Not to forget, it is an extension for Google Chrome whose ‘Lite’ version is free of any charge and the ‘Premium’ version, on the other hand opens up all the features. This recorder claims to have 6.5+ million installations and 16 millions captured video records. The ‘Lite’ version offers only 10 minutes for each recording and the number of recordings is limited to 50 per month. You also get Screencastify watermark with Lite version unlike the Premium one. With the help of Screencastify, the users can record their desktop, browser tab or webcam easily. It comes with many editing features like pen tool to annotate the screen, crop or trim the recording etc. This online PC video capture helps in saving the videos automatically to Google Drive. Moreover, you can straight publish the file to YouTube with Screencastify. The videos can also be exported as .MP4 or GIF but with Premium version. If you are looking for the best and the most constructive video recorder for PC to make the recording experience even better along with countless recording effects, an online video recorder won't satisfy you with relatively limited features, so Filmora Scrn is what should come to your mind. Filmora Scrn’s purpose is to give the recorded screen high-quality finishing with simple and straightforward user interface. It can be downloaded free in your Mac or Windows computer. Filmora Scrn possesses some very powerful features which are discussed below. This screen recorder imparts fascinating annotation tools to give the file more explaining details. Filmora Scrn lets you to record the video file in 15-120 FPS which is the best part. You can import 50+ file formats as well as export the file to desired format MP4, MP3, GIF and MOV. A wide range of tutorial features are associated with this recorder. No limitation on recording time. We provided a sound list of some best screen recorders to make your online video capturing practice convenient. Now, there is no need to move anywhere. Just pick out online video recorder from the above mentioned online tools and perform the recording according to your needs. Be it your desire to display your playing skills or make people acquainted with a newly launched app or software or capture product reviews, satisfy the desire with a good decision and begin fulfilling it right away. Thanks for giving time to read and we hope that you have discovered the best one by now and have initiated your task.